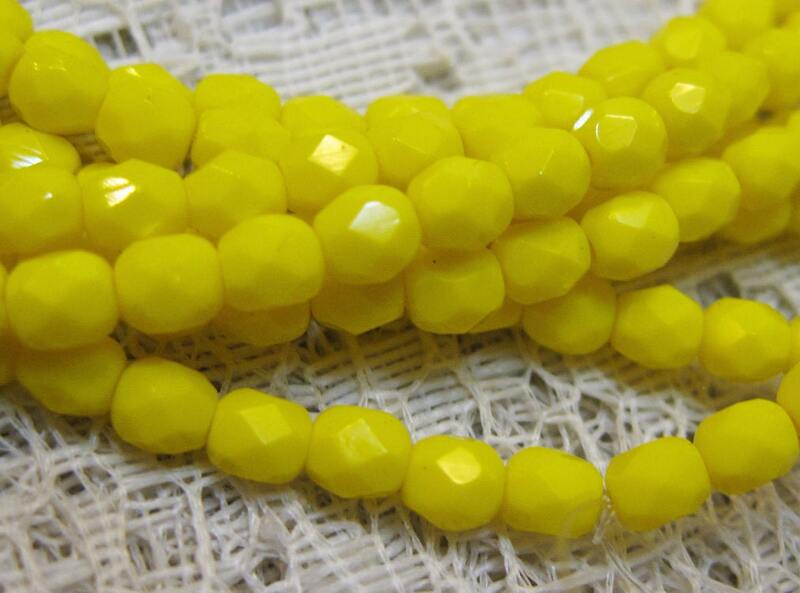 One strand of 50 bright sunny yellow opaque Czech firepolish crystal beads measuring 4mm. Add some sparkle to your jewelry creations! Beautiful bead selection and a great seller!